Today, it's exactly 50 years ago that the famous Washington-Moscow Hotline became operational. Allthough this link has always been for written communications only, many people think there are red telephones on the Hotline, as this is often depicted in popular culture. During Jimmy Carter’s presidency, the “red phone” was a hotline to the Kremlin in Moscow. A U.S. president could pick up the phone and speak directly to Soviet leaders in times of crisis. The text is about a red phone used for the Hotline, but more important is the fact that the telephone which is on display, is just a reproduction. This is also confirmed by the curator, who said that this phone is a prop that the exhibition designer wanted to use. Now it's clear that the actual red phone in the picture was never used on the Hotline between Washington and Moscow, nor on any other secure telephone network (allthough red phone sets were regularly used for predecessors of the Defense Red Switch Network, which is the main secure voice network of the US military). The picture on Wikipedia shows just an ordinary phone set, like the ones that are quite commonly used for emergency telephone lines of any kind which don't require a dialing capability. Probably because the designer of the exhibition at the Jimmy Carter Museum also thought there were red telephones on the Hotline, such a common phone set was used to represent this. For people visiting the museum it must have looked like a confirmation of their idea of the red phone hotline. When someone uploaded a picture of this phone to Wikipedia in March 2011, it soon found its way to articles about the Washington-Moscow Hotline in eleven languages, most of them erroneously saying the Hotline also having a voice capability. It was only after research done for this weblog, which resulted in an extensive article about the Hotline last year, that some of the Wikipedia articles were corrected. "During Jimmy Carter’s presidency, the “red phone” was used to communicate with U.S. military command centers in a crisis. It was not the hotline to Soviet leaders, as is often shown in movies." This Friday, August 30, it's exactly 50 years ago that a direct communication link between the United States and Russia became operational. This Washington-Moscow Hotline is one of the most famous top level communications systems in modern history. A small event to celebrate the 50th anniversary will be held this Thursday, August 29, at Fort Detrick in Maryland, where the satellite ground station of the American end of the Hotline is situated. The event includes as guest speakers: the former American ambassador, Jack Foust Matlock, Jr. and a son of the former Soviet Premier Nikita Khrushchev, Dr. Sergei Khrushchev. There seems to be no commemoration involving the American and Russian presidents. Maybe this is due to the fact that the relationship between both countries has troubled after Edward Snowden, who leaked many top secret documents from the NSA, was granted asylum in Russia recently. "The NSA started setting up Internet intercepts well before 2001, former intelligence officials say. Run by NSA's secretive Special Services Office, these types of programs were at first designed to intercept communications overseas through arrangements with foreign Internet providers, the former officials say. NSA still has such arrangements in many countries, particularly in the Middle East and Europe, the former officials say." Documents which were recently leaked by Edward Snowden already confirmed that the NSA collects internet data from telecommunication cables going through the United States. But now we learn that also foreign internet providers are cooperating with NSA in order to intercept foreign communications. For Americans it may be embarrassing that NSA is tapping into domestic internet cables, but for people elsewhere in the world it must be even more embarrassing that their telecommunications provider might have some secret agreement with a foreign intelligence agency. Here we will combine this with a number of other recent stories and this shows us that NSA and its British counterpart, the Government Communications Headquarters (GCHQ), have arrangements with a number of big American and British telecommunications companies, and also with an unknown number of foreign internet providers. These are cooperating because they are required by law and both NSA and GCHQ are paying them for the expenses. 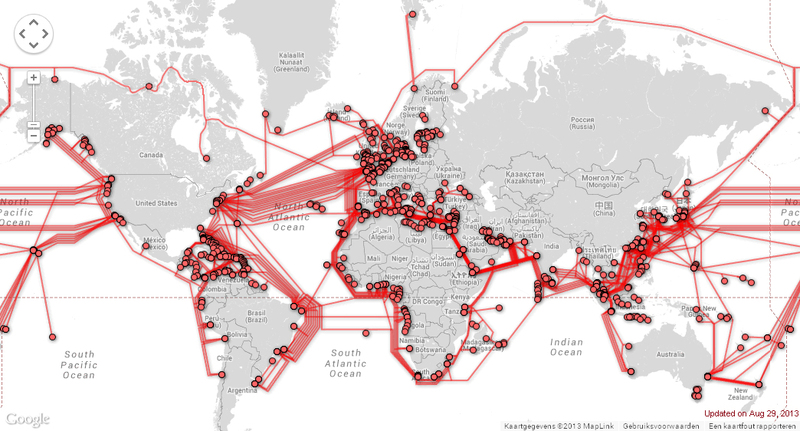 The result is a global internet surveillance network. 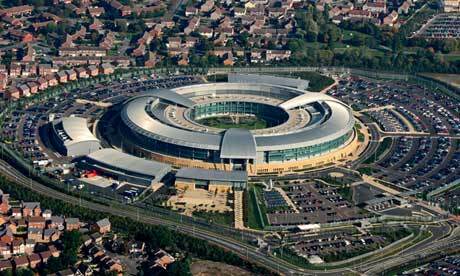 The doughnut-shaped building of GCHQ in Cheltenham, Gloucestershire. GCHQ has clandestine agreements with these seven companies, described in one document as "intercept partners", in order to give the agency access to their network of undersea cables. The companies are paid for logistical and technical assistance and British Telecom even developed software and hardware to intercept internet data. At GCHQ this collection effort is conducted under the "Mastering the Internet" component of the TEMPORA program. The identity of the participating companies was regarded as extremely sensitive, in official documents referred to as "Exceptionally Controlled Information" (ECI), with the company names replaced with the codewords. Disclosure of the names would not only cause "high-level political fallout", but would also be very damaging for the trustworthiness of the companies. which was revealed by an AT&T technician in 2006. In reaction to these disclosures, Vodafone and Verizon said that they comply with the laws of all the countries in which they operate cables and that they won't disclose any customer data in any jurisdiction unless legally required to do so. This is the same kind of reply some of the US internet companies gave regarding to their alleged involvement in the PRISM program. Together, the seven companies operate a huge share of the high-capacity undersea fibre-optic cables that make up the backbone of the internet's architecture. The German media also noted that these companies also run some important internet nodes in Germany, and for example Interoute owns and operates Europe's largest cloud services platform. We do not know how many of the internet cables and nodes of these providers have collection and filtering devices attached. Former NSA official and whistleblower William Binney gives quite a large number of major points in the global fiber optic networks where there would likely be Narus, Verint or similar intercepting devices. In this article there's a list of the most likely surveillance nodes on the networks of AT&T, Verizon, BT Group and Deutsche Telekom - situated all over the world. The Guardian confirms that in 2012 GCHQ had tapped more than 200 fibre-optic cables and was able to process data from at least 46 of them at a time. 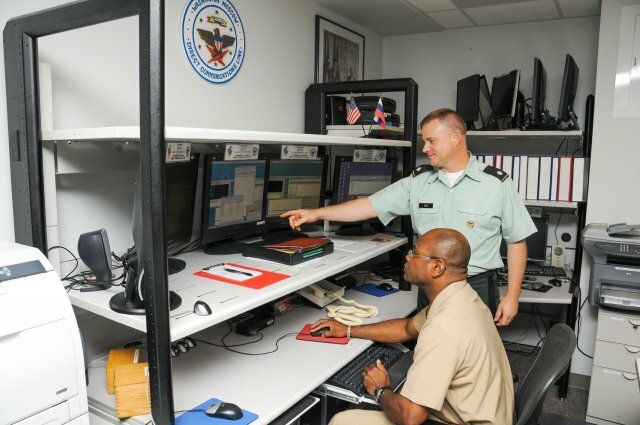 The collected metadata is stored for up to 30 days, while the content of communications is typically stored for three days. The existance of internet tapping points outside the US and the UK was confirmed in a report by The Independent from August 23. It says GCHQ runs a secret internet-monitoring station at an undisclosed location in the Middle East to intercept and process vast quantities of emails, telephone calls and web traffic on behalf of Western intelligence agencies. The station is able to tap into and extract data from the underwater fibre-optic cables passing through the region. All of the messages and data passed back and forth on the cables is copied into giant computer storage buffers and then sifted for data of special interest. These data are then processed and passed to GCHQ in Cheltenham and shared with the NSA. On July 7, The Washington Post published about a "Network Security Agreement" between the US government and the fiber-optic network operator Global Crossing, which in 2003 was being sold to a foreign company. Global Crossing was later sold to Colorado-based Level 3 Communications, which owns many international fiber-optic cables, and the 2003 agreement was replaced by a new one (pdf) in 2011. The bottom line here is in the word "lawful". As long as information requests by NSA or GCHQ are lawful, the internet providers will assist in gathering the required data. They even have to. Just like GCHQ, NSA is also paying telecommunication companies. This came out when on August 30, The Washington Post published parts of the highly classified US Intelligence Budget. This revealed that NSA’s Special Source Operations (SSO) division runs a project called Corporate Partner Access, which involves major US telecommunications providers to tap into "high volume circuit and packet-switched networks". A final $ 56.6 million is for "Foreign Partner Access", but according to The Washington Post it's not clear whether these are for foreign companies, foreign governments or other foreign entities. The article says that telecommunications companies generally charge to comply with surveillance requests from state, local and federal law enforcement and intelligence agencies. This simplifies the government’s access to surveillance and the payments cover for the costs of buying and installing new equipment, along with a reasonable profit, which makes it also profitable for the companies to cooperate with NSA and other agencies. 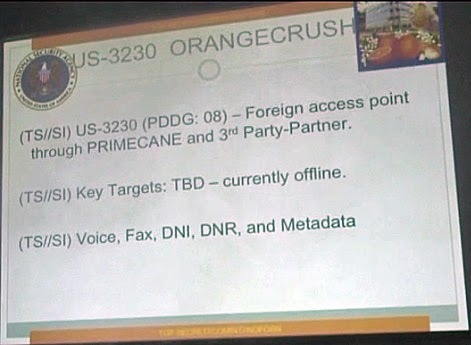 The latter program is specified as a "Foreign access point through PRIMECANE, and 3rd party partner" (see below). Similar arrangements with telecommunication providers can be expected in Canada, Australia and New Zealand, as the signals intelligence agencies of these countries have a very close information sharing relationship with GCHQ and NSA under the UKUSA-Agreement from 1946. Regarding signals intelligence these countries count as 2nd party allies of the NSA. New documents show that Sweden is a 3rd Party partner of NSA since 1954. Another disclosed NSA document has confirmed that France, Germany, Spain, Italy, Belgium, the Netherlands, Denmark, Norway and Sweden are 3rd Party partners of NSA and that they are part of a group called SIGINT Seniors Europe (SSEUR) or 14-Eyes. - In Europe: Albania, Austria, Bulgaria, Czech Republic, Estonia, Latvia, Lithuania, Macedonia, Poland, Romania, Slovenia and Slovakia. - In the Middle East: Bahrein, Israel, Kuwait, Oman, Qatar, Saudi Arabia, and the United Arab Emirates. Most of these countries are small, dependent on US military support and therefore often willing to cooperate with US intelligence agencies. Of course this doesn't necessarily mean that in all of these countries the NSA has agreements with local internet providers, but the list may give an indication of where we can expect cooperating companies. Having secret arrangements with a foreign intelligence agency is a highly sensitive and tricky business, so internet providers have to be covered by their government. For the NSA these arrangements with foreign internet providers make good sense. 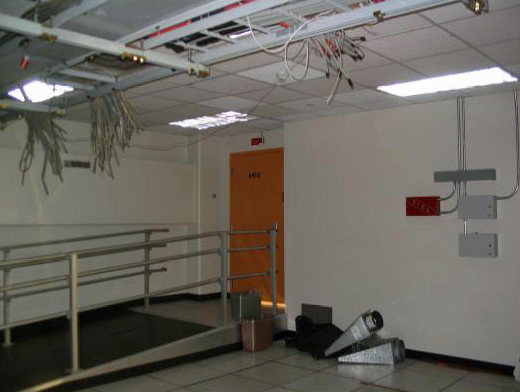 Before the Internet-age, NSA could intercept many communications on its own, for example by placing taps at underwater telephony cables and intercepting satellite transmissions and microwave links. These were the long-distance connections for the public switched telephone network, which also carried most of the early internet traffic. and was discovered and removed by the Soviets in 1981. With the rapid expansion of the internet after the year 2000, the copper cables and satellite and microwave links have been replaced by fiber-optic cables, which are far more difficult to intercept. 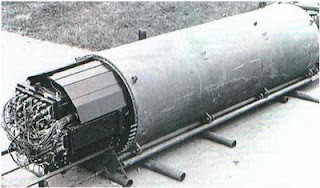 NSA is reportedly capable of placing taps at underwater fiber cables, but these are of course very cumbersome and costly operations. Therefore, the way to go was to place taps at locations where the fiber-optic communications are switched. For the internet, much of the switching occurs at relatively few sites, but here intercepting has to be done with the help, or at least the knowledge, of the companies who are operating these sites. 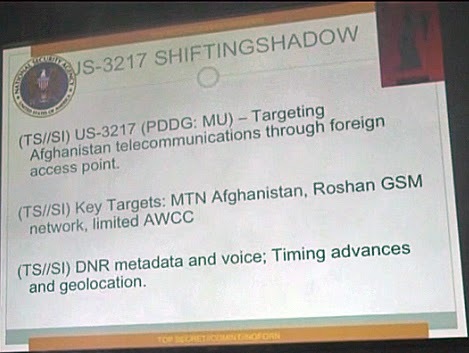 Before 2001, NSA was only authorized to intercept communications with both ends being foreign. So the first internet providers to cooperate with had to be outside the US. But due to the very nature of the internet, NSA soon found out that it was increasingly difficult to keep foreign and domestic communications separated. For that reason president George W. Bush secretly authorized NSA to also wiretap international communications where just one party is believed to be affiliated with terrorism. Under this new authority NSA could now also involve American telecommunication providers, first those providing hardware transmissions (AT&T, Verizon, etc) and later companies offering the software for today's communications (Microsoft, Google, Apple, etc). Now, NSA and its UKUSA partners are cooperating with a range of national and foreign internet providers, which gives them access to the main internet cables and switching points all around the world. This is just like they operated the ECHELON network with listening stations worldwide, intercepting the former satellite communications. For some people all this may sound like Snowden's claim about the NSA being able to eavesdrop on every conversation of everyone in the world, but there's no evidence for that. NSA does want access to as many communication channels as possible, but only for gathering information about enemies of the United States, not about ordinary people. Given the enormous amount of data traffic, NSA will just do everything to gather that info as focussed and efficiently as possible - more about that next time.